Founded in 1999, The Bollinger Law Firm, PC in Charlotte, North Carolina, has a strong reputation as a law firm of advocates for injured and disabled people. Insurers, legal opponents and our former clients know full well that we go to court whenever necessary to ensure that our clients receive workers' compensation benefits that are due to them. It is important to have a lawyer who will go to court for you if necessary. Some lawyers avoid going to court and want to settle cases before trial. The insurance adjusters know which lawyers prefer to settle the client's case rather than go to court for their client and force the issues. At the Bollinger Law Firm, we are not afraid to go to court! In fact, we pride ourselves on our willingness to go to court to obtain benefits for our clients. And our litigation track record in workers' compensation cases is a public record. Take a look at our courtroom record before you select a lawyer! We WILL go to court for you! 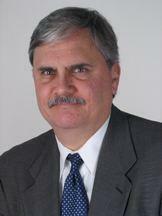 Firm principal Bob Bollinger is a Board Certified Specialist in NC Workers' Compensation law. He has been honored as a NC Superlawyer, as one of the "Best Lawyers in America" and holds the "AV Preeminent" rating from Martindale.com. Bobby L. Bollinger, Jr. has earned an AV Preeminent rating through Martindale-Hubbell's peer-review rating system*, and is a Board-Certified Specialist in North Carolina Workers' Compensation Law by the North Carolina Board of Legal Specialization. He aggressively and efficiently represents airline employees, health care providers, office workers, construction workers, education professionals, manufacturing workers, government employees, food service workers, repair and maintenance personnel, self-employed small business men and women, professional bus and truck drivers and all other hardworking North Carolinians who were injured on the job.